WANNEER JOU BESKERMING SE BYT JOU KAN KOS! Wanneer ‘n individu deur ‘n hond gebyt word kan dit tot groot emosionele-, fisiese- en eiendomskade lei. Wat staan u (die publiek) egter te doen indien u deur ‘n hond gebyt word? Wat is u regte? Is daar bepaalde stappe wat u kan volg indien u deur ‘n hond gebyt is? Hierdie artikel het ten doel om as ‘n informatiewe leesstuk te dien, om u in te lig rakende die verskillende regsaspekte wanneer u die onverwagte slagoffer van ‘n hondbyt is. 2.Dat die hond in stryd met sy natuur opgetree het. In hierdie verband moet die Eiser en die Eienaar (verweerder ) kennis neem daarvan dat ‘n mak huisdier, in dié geval die hond, teen sy natuur sou optree indien die huisdier iemand byt. 3.Dat die hond ‘n mak huisdier is. Wanneer hierdie tipe eise egter ingestel word is dit raadsaam om nie net met die hoofaksie (actio de pauperie) alleen te volstaan nie, maar om ook ‘n alternatiewe eis, gebaseer op ‘n tweede gemeenregtelike aksie, in te stel. Hierdie gemeenregtelike aksie staan bekend as die (actio legis aquiliae). Laasgenoemde aksie word ingestel waar die Eiser nie kan bewys dat ‘n bepaalde persoon die eienaar van die hond is nie, of indien daar nie bewyse gelewer kan word dat die hond teen sy natuur opgetree het nie. (Actio legis aquiliae stel) die Eiser daartoe in staat om ‘n eis van nalatigheid teen die persoon wat ten tye van die voorval in beheer van die hond was, in te stel. Die eis sal egter slegs suksesvol wees indien nalatigheid bewys kan word. 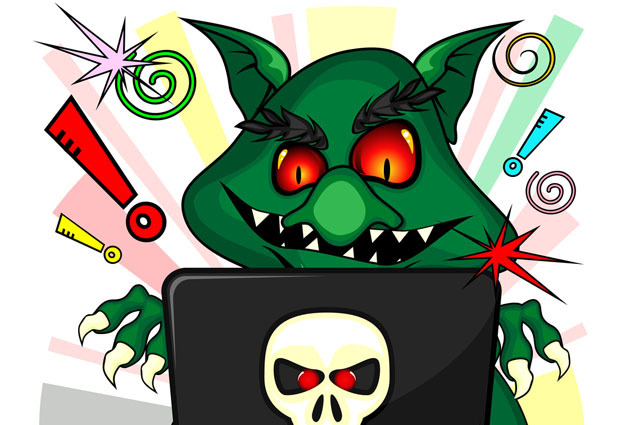 Social media harassment has been on the rise with victims suffering at the hands of unknown harassers hiding facelessly behind an electronic façade from where they do their dirty work – changing their online persona as necessary to continue harassing their victims and evade identification. Given that the harasser is unidentifiable, victims are unsure as to what they can do to stop the offending action. The good news is that victims are not without recourse. In 2013 the Protection from Harassment Act (“PHA”) came into operation. PHA seeks to assist victims of harassment from known and unknown harassers. The PHA definition of harassment is wide and includes amongst other things, directly or indirectly engaging in conduct that causes harm or inspires the reasonable belief that harm may be caused to the victim or a related person through engaging in verbal, electronic or any other communication, irrespective of whether or not a conversation ensues; the sending, delivering or causing the delivery of letters, telegrams, packages, facsimiles, electronic mail or other objects to the victim or a related person; or conduct which amounts to sexual harassment. This definition will thus include the cyberbullying and online harassment as you have described. PHA provides for the issuing of a protection order and the enforcement thereof by our Magistrates Courts in what is a relatively informal and cost effective process, which can be launched by any person by completing the prescribed forms with the Clerk of the Court. The matter will then be placed before a Magistrate who can issue a protection order against a perpetrator. Where the perpetrator is unknown and is using social media and electronic platforms to conduct the harassment from, PHA empowers the Magistrates Court to issue a directive to electronic communication service providers to provide the full details as per their records of the perpetrator using the accounts or email address through which the harassing action is being conducted. PHA also empowers the Court to order the SAPS to conduct an investigation into the harassment in order to identify the perpetrator. PHA further requires the electronic communication service providers and SAPS to report to the Court after having been ordered to provide the information and/or conduct the investigation. Besides identifying the details of an account holder, it is as yet not clear what the obligations of a social media service provider are to protect a victim from harassment via their site and whether they can incur liability. This aspect has not served before our Courts, but international case law relating to defamation could perhaps give guidance here in that in countries such as the USA and United Kingdom the service providers who provide a platform for defamatory statements to be published and then do not remove them, after being informed that the nature of the statements are defamatory and/or untrue, have been held liable. For now it is advisable that you consider obtaining legal advice in respect of the possibility of enforcing your rights in terms of PHA. You can also consider informing the social media service provider of the harassing action with a request to take steps against the relevant account holder and to remove the harassing comments. For many of these service providers their good name and reputation will ensure that they take improper conduct via their platforms seriously and also take steps to curb such conduct. Businesses around the world are increasingly opting for mediation as a method of commercial dispute resolution. Likewise in South Africa, there is a substantial scope for mediation to become a real solution for businesses to resolve their commercial disputes. In fact, in Africa, mediation is generally a deeply rooted element of tribal community structures and it makes sense that these traditions also pervade our commercial dealings. The structure of the commercial mediation process offers parties the opportunity of resolving their disputes as well as saving a business relationship. The parties come together to try, with the help of a skilled mediator, to resolve their differences before formal legal or arbitration proceedings are commenced. This leaves room for a viable business relationship to survive the dispute, which, once parties come to formal legal blows, is often no longer possible. Good corporate governance demands that company directors ensure that disputes are resolved as effectively and efficiently as possible and commercial mediation can provide options for parties generally not available through litigation or arbitration and so contribute to good governance. Likewise the new Companies Act also encourages the use of mediation by providing for alternative forms of dispute resolution in respect of company affairs, including the use of mediation. With litigation becoming increasingly expensive and time-consuming, and arbitration results often ending back in court for review, legal practitioners are being forced to look at alternative ways of assisting clients to resolve their commercial disputes, with mediation increasingly coming up on top. The success of commercial mediation in countries like the USA, Canada and Australia can generally be attributed to the benefits that commercial mediation holds for parties, such as the ability to undertake the process voluntary, confidentially and without prejudice to any of the rights of the parties. It also affords parties greater control over the outcome of the proceedings. Given its voluntary nature, it is non-binding unless the parties reach a joint settlement agreement. The process allows the parties, with the help of a skilled mediator, to deal with their issues and raise their respective commercial interests to try and reach a joint resolution to their dispute. This allows the possibility of a continuing business relationship as well as an agreed solution that works for both parties. If mediation does not work, the normal remedies still remain open to the parties, but given the lower costs and risks relating to mediation, it is an option well worth considering. Accordingly, to address you concerns regarding your company’s current litigation history, it may be worth referring a dispute to mediation and assessing the outcome thereof against your current litigious approach, costs and time in managing your commercial disputes. The high crime rate is a reality of doing business in South Africa. Smaller companies, with fewer resources to secure themselves, are particularly vulnerable. Find out what basic measures you can put in place to make your business less of a target. Security is one of the most important aspects of running a business, so it’s not an area where you can afford to cut corners. There are various ways of assuring your company and your employees’ safety. As much as you would like to trust the people working for you, it’s important to enforce these policies and take temptation out of the equation. If you do find that an employee has been stealing from you, seek legal advice about how to deal with it. Crime against businesses affects everyone living in the community. Your company creates jobs and the security measures you take will improve the safety of the vicinity in general. You don’t have to be a victim of crime. Find ways to be part of the solution to make your business and the broader community more secure. Emoluments attachment orders in South Africa. An emoluments attachment order in South African law is a court order whereby the judgment creditor is able to attach part of the salary or wages of the judgment debtor. Once an emoluments attachment order has been granted, the employer of the judgment debtor (who is referred to as the garnishee) is obliged (on a continuing basis, and until such time as the judgment debt has been paid in full) to pay a certain portion of the judgment debtor’s salary or wages to the judgment creditor. The employer is known as the emoluments attachment debtor or garnishee. It is important to distinguish between the employer as an emoluments attachment order debtor, or garnishee, and the actual judgment debtor. Emoluments attachment orders are signed by the judgment creditor, or by a nominated attorney, as well as by the clerk, and are served by the sheriff on the emoluments attachment debtor or garnishee. An emoluments attachment order may be executed against the emoluments attachment debtor or garnishee as if it were a judgment of the court. 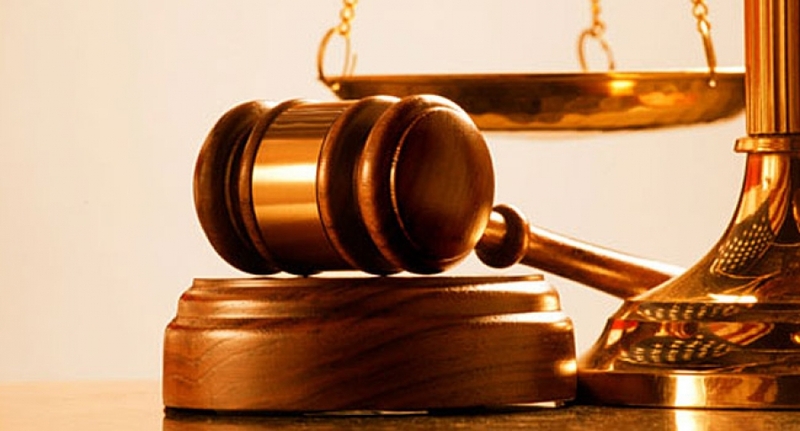 The order is always subject to the rights of the judgment debtor, emoluments attachment debtor or any interested party to dispute the validity or correctness of the order. The emoluments attachment order “is a good way of proceeding against a judgment debtor who does not possess sufficient attachable assets to pay off a significant portion of the debt.” Because the money goes directly from the employer to the judgment creditor, the latter’s attorney does not have to worry about the judgment debtor spending it before it can be attached. The judgment debtor also has an interest in retaining his job. As long as he does so, the debt will continue to be paid. it is declared that the provision above, requiring the sending of the registered letter, have been complied with on the date specified therein. Once the emoluments attachment order has been issued and served on the emoluments attachment debtor or garnishee, a certain amount will be deducted from the judgment debtor’s salary by the garnishee at the end of every month, and paid over to the judgment creditor. The garnishee is entitled to deduct a five per cent commission for this service. The court may on good cause suspend, amend or rescind the order, especially where the judgment debtor can show that, after the deduction, there are insufficient means available to support the judgment debtor and any dependants. Where the judgment debtor leaves the employment of the garnishee, the judgment debtor must advise the judgment creditor of the name and address of the new employer. The judgment creditor may then serve a certified copy of the order, together with a certificate of the balance of the debt owed, on the new employer. The new employer, as the new garnishee, is then bound by the order. In terms of the procedure adopted in the Magistrates’ Courts, there is a distinction between emoluments attachment orders (which relate to the attachment of the salary or wages owing or accruing to the judgment debtor by a third party), and garnishee orders (which relate to the attachment of all the other kinds of debts which may be owed to the judgment debtor by a third party). In essence, an emoluments attachment order is a procedure whereby a debt may be collected from a judgment debtor. The order is served on the debtor’s employer (the garnishee), who is instructed to make regular weekly or monthly deductions from the debtor’s salary and to pay these deductions over to the judgment creditor. A garnishee order, on the other hand, allows a judgment creditor to attach a money debt owed to the judgment debtor by a third party. The order is served on the third party and attaches money owed by the third party (who is also known as a garnishee) to the judgment debtor. The third party or garnishee is then obliged to hand over to the judgment creditor directly as much of the attached money debt as is necessary to satisfy the judgment debt and costs. Information obtained from www.cfdc.org.za (with written permission). A proper approach is to interpret the term “benefit” to include a benefit to which an employee is entitled (from contract or from legislation, including rights judicially created) as well as an advantage or privilege which the employee has been offered or granted in terms of a practice subject to the employer’s discretion. Those judgments in which a contrary approach was adopted are accordingly wrong. Employees who wish to use unfair labour practice jurisdiction to claim a right to be promoted, receive training or be granted employment benefits, do not have to prove a right to be promoted or trained if the fairness of the employer’s conduct is challenged. The concern that a wide definition of “benefit” will undermine the right to strike is no longer justified. Disputes over the provision of benefits fall into two categories. Where the dispute is not based on an allegation that the grant or removal of a benefit is unfair, strike action is the remedy. Where the dispute concerns the fairness or otherwise of the employer’s conduct, it can be adjudicated through arbitration. The first instance is where an employer fails to comply with a contractual obligation that it has towards an employee. In this instance, an employee would still only be able to refer a dispute to the CCMA for adjudication if such a dispute is based on a right or benefit contained in the contract of employment, or alternatively in law. The second situation is where the employer exercises a discretion that it enjoys under the contractual terms of a scheme conferring a benefit. In this instance, even where the employer enjoys a discretion in terms of a policy or practice relating to the provision of benefits, such conduct can be scrutinized by the CCMA. Globalisation has opened the door to individuals and businesses to become bolder and more internationally active. This implies a greater degree of international contracting. Although substantial benefitsbenefits can arise from expanding your business internationally, it can also present many difficulties if you are unaware of the legal consequences of contracting in the international arena, particularly where you are involved in a contractual dispute with an international party. Private international law regulates the dealings between people of different nations and the question of which legal system should be applied to a specific legal situation. It is not a segment of public international law and as such is not governed by international conventions that different States signsign and incorporate into their law. For this reason, private international law does not provide universal solutions in respect of international contracting. Private international law depends predominantly on numerous concepts and case law from which it draw its authority. These sources merely serve as guidelines to determine which legal system should reign over a specific relationship. Fortunately, the use of conventions to regulate private international law is becoming a more attractive notion, but until this is followed by all nations, the lack of uniformity will continuecontinue to cause uncertainty. The result is, that where international dealings are not conducted correctly, a lengthy procedure may ensue to determine which legal system is suitable and just to resolve the dispute. A contract cannot exist without an empowering legal system whose norms specify that a contractual obligation exists. In other words, a contract draws its authority from a legal system. This can be illustrated by way of example: Person A, living in South Africa, and Person B, who is a resident of Italy, wish to enterenter into a contract with one another. Both parties agree that the contract is to be executed in China. Later on in their contractual relationship, a dispute arises. Which legal system prevails? South African law, Italian law or Chinese law? In such a case, private international law is implored to determine the law to govern the contract. The solution is encapsulated in a concept known as ‘party autonomy’. When a court has to determine which law governs a contract, there are three possibilities: 1.Expressly chosen law; 2.Impliedly chosen law; or 3.The most closely connected law.